Ready to make birthday cake slime? I decided to name this one Birthday Cake slime because I used these super large round sprinkles that I found at Walmart, which leave a fully rainbow explosion while playing. Because they are larger, they also give a pretty fun sensory experience. If you want to up your game, you can also add some essential oils or vanilla so you can smell it while you play with it! That’s the wonderful thing about slime, there are so many ways to make it your own. Lets get started with some slime fun! 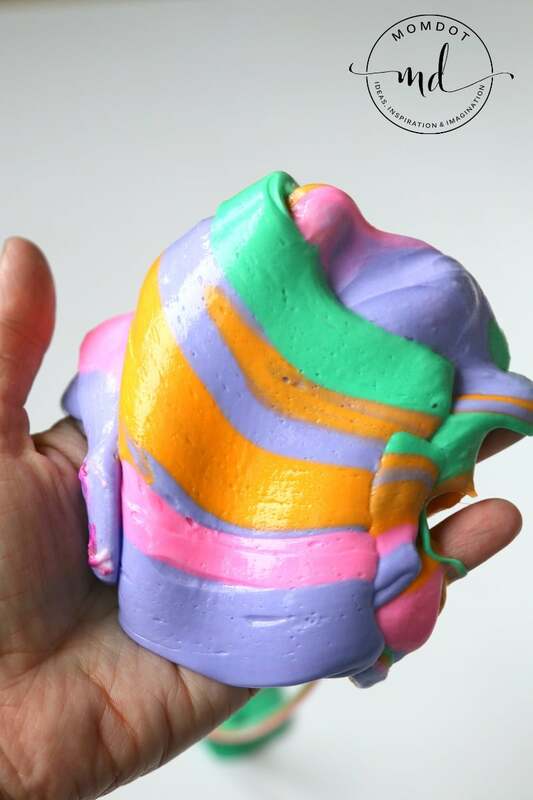 NOTE: While this slime looks good enough to eat, it most definitely cannot be eaten. Please make sure you only play science projects like this with kids of an age that can tell the difference in food and slime and always monitor your kids art and science projects. Lets get started! First you need to create your slime! You can easily make this into a fluffy slime (w/ shaving cream) or not. 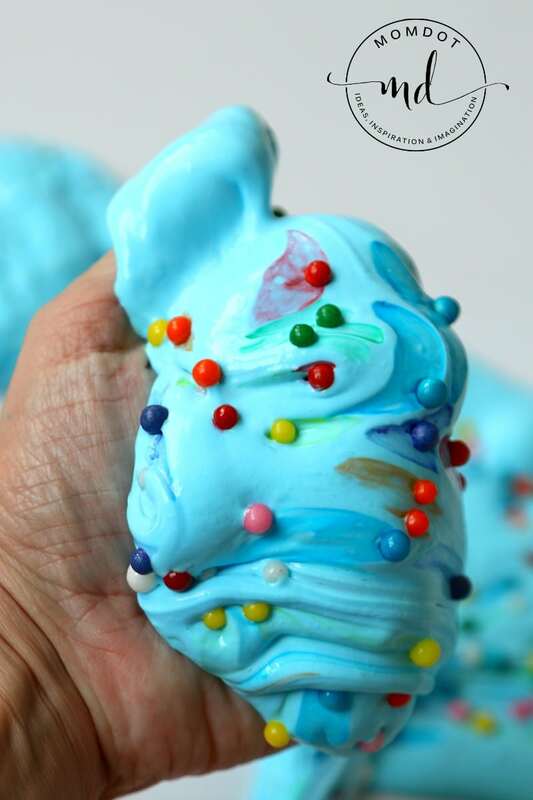 Fluffy slime is so named as it contains shaving cream to fluff up the recipe and make it poofier and thicker. It tends to be less sticky than traditional slimes a little more fool proof. 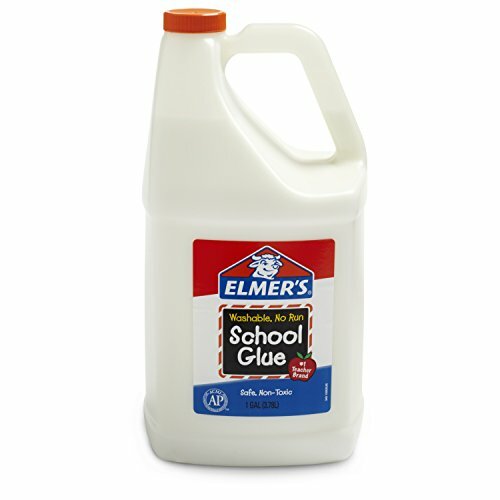 Now before you get started, you will need a few things: Gallon of Elmer’s Glue, Liquid Starch, a colorant if you want it to have color (I prefer Wilton’s Food Coloring) and for this, the additive that makes fluffy slime work, extra moisturizing shaving cream . 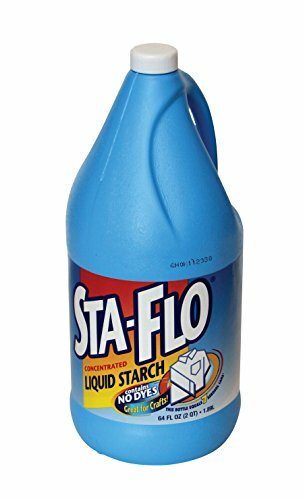 Here on MomDot, I make slime with liquid starch. It’s so much easier to make than borax based slimes and you will have less mistakes in the end result- TRUST ME. Making birthday cake slime is more of an art than a science. There is so much that goes into the making of the slime, that merely measuring out is not going to solve all your slime issues, but its so easy if you follow this. First, pour approximately 1 cup of white glue into a bowl. 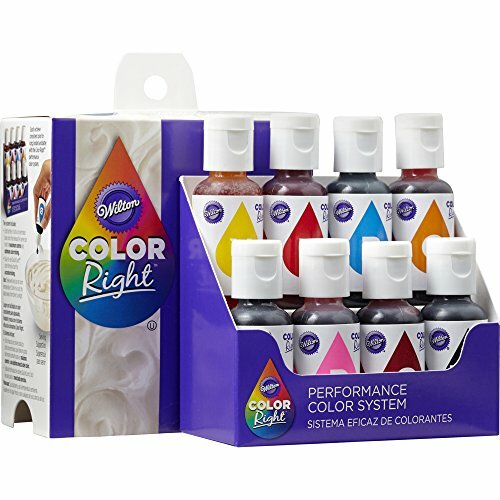 Add your Wilton’s Food Colorant and stir. Add your shaving cream if you want it to be fluffy slime. My estimate is about 1/2 cup worth. Stir. Because shaving cream is white, it will dilute your coloring a bit so feel free to add more. This is a step you CAN leave out. Now add about 1/3rd- 1/4th cup liquid starch to the bowl and stir. You will immediately see the slime form up. 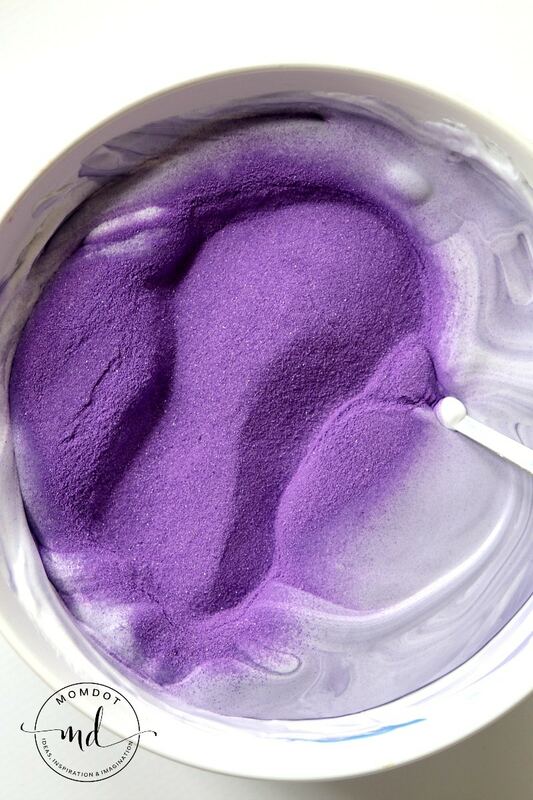 Continue stirring a minute or so and then pick up and begin kneading your slime. I have added a video below on how to make slime and can help you if you have questions. That slime does not include the shaving cream (in the video) but will show you the overall process of making slime if you need help. Once your slime is made, sit down and let it flatten out. Sprinkle your large sprinkles on and let sit about 30 seconds. This gives the coloring a chance to melt into the slime a bit. Now put your hand under and PULL!! See how the sprinkles leave streaks of color? Now the sprinkles WILL lose their coloring as you play, which is part of the fun. Want some more slime tricks?